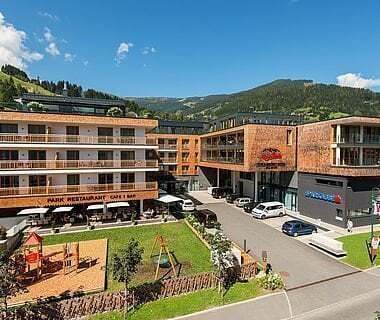 The AlpenParks Hotel & Apartment Sonnleiten Saalbach is a completely new hotel complex with the highest quality standards. 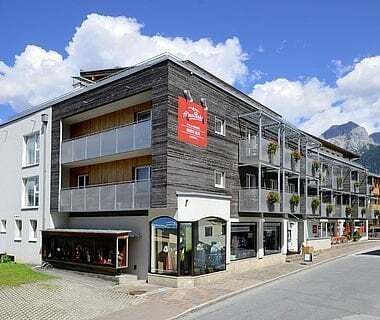 The new AlpenParks Hotel & Apartment Sonnleiten comprises of 36 hotel apartments and suites. 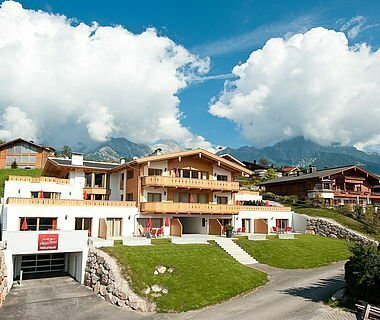 Some with sauna, all with kitchens and terraces or balconies. 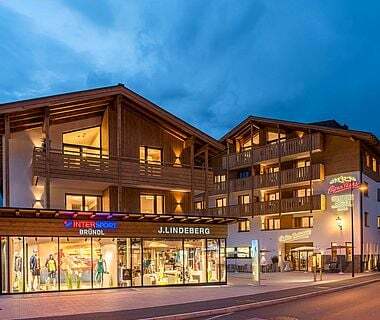 Our own restaurant, bar and lounge, the in-house heated swimming pool (from summer 2019), underground parking, secured ski and bike depots, e-charging stations and numerous hotel services guarantee our guests perfect, relaxed and very individual holidays. 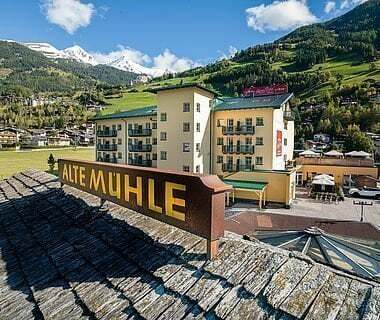 Right in the middle of our "Home of lässig"
In the Hotel & Apartment Sonnleiten, the name says it all: enjoy sunny views and an incomparable view over the entire Glemmtal valley. 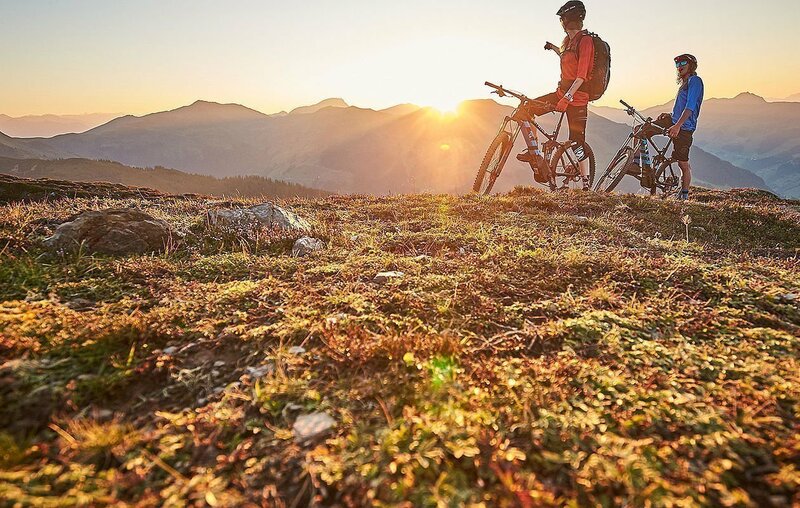 Bikers enjoy the immediate proximity to the Bikecircus Saalbach in summer. In winter guests can ski directly from the hotel via the Kohlmais slope. Fancy culinary delights? Would you like to feast on a balanced breakfast buffet and eat à la carte for lunch or dinner? 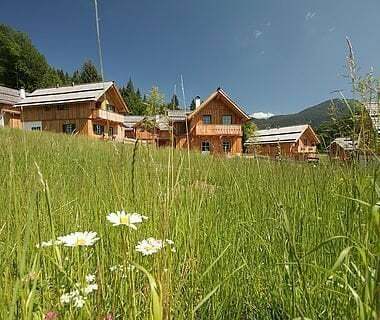 Or do you prefer self-catering? 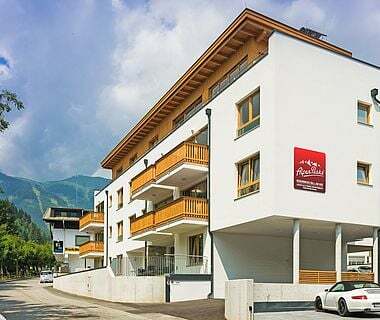 Hotel rooms & holiday apartments in the village Saalbach. 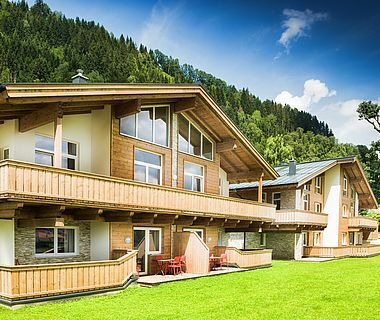 We would be glad to prepare an individual offer for your stay in our Hotel & Apartment Sonnleiten in Saalbach.